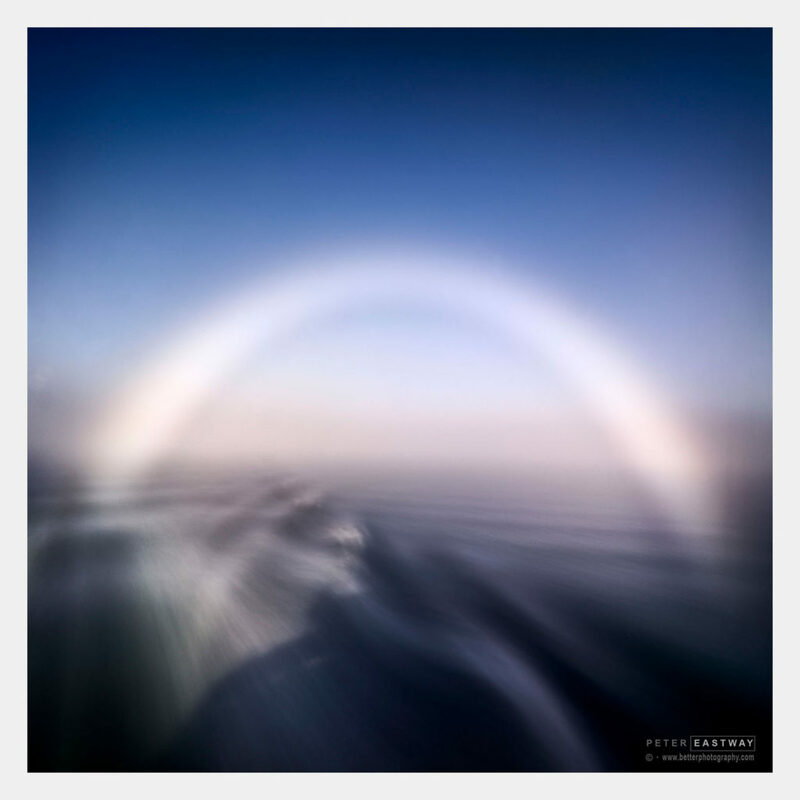 A fogbow on a recent trip to Svalbard with Kevin Raber and a great bunch of Luminous Landscape photographers! It was a lot of fun processing the image that night while on board the Sea Endurance! There’s nothing better than sitting down at the end of a day’s shoot, reviewing your images on a computer and doing a little post-production as well. It’s even better if the photos have turned out well and the screen you’re using is close to perfect. So, what do I mean ‘perfect’? Aren’t all screens much the same? And when you’re traveling away from home, what are your options anyway? For me, photography is both capture and post-production and so the monitor I use becomes the window through which I view my creativity (or lack thereof). If the monitor doesn’t show the right colours or the right tones, every editing decision I make is wrong! It’s impossible to edit your files correctly unless you have a good monitor. When you visit an electronics store with a dozen different computers or televisions on display, have you noticed how each one is a little bit different? One is more contrasty, one a bit blue, yet another a little dark… So, when you’re looking at your own computer monitor, which is it? Dark, light, blue, contrasty or just right? Experienced readers will immediately point to the need for calibrating and profiling your computer monitor so it performs at its best, and this is good advice, but not all computer monitors are equal. Many inexpensive monitors are simply not capable of displaying a wide range of colours or tones. Some cannot be calibrated in a way that gives us ‘correct’ colours and tonality – and this is why I use EIZO monitors in the studio. To be successful in post-production, you need accurate feedback from your monitor – so you need a good one and it’s much more important than your next camera or lens. The Wacom MobileStudio Pro and Pro Pen 2 are a great combination for the traveling photographer. So, what happens when I’m traveling? 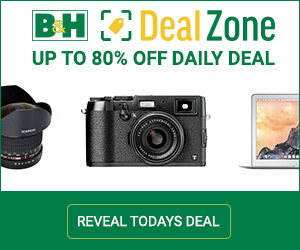 What happens on location – because I’m not dragging my 30-inch, 4K EIZO along with me! Over the years, I have struggled to find a Windows laptop that has a good screen. There are lots of laptop screens with great specifications, but most of them just don’t look right. Very often the shadows get blocked up and there can be colour twists as you move through the tonal range. And no matter how often you calibrate the monitor, it’s never accurate or neutral. The Macbooks I’ve owned over the years performed much better than the average Windows machines, but I have also struggled with Apple’s screens because of their enhanced contrast and colour. And for me, the retina screens are even harder to use, no matter how amazing they look. Perhaps this is just me, but I don’t want an image that looks great, I want one that looks accurate so when I show it to someone else using a different type of screen, there’s less disappointment! A laptop may never offer the colour and tonal fidelity of a large, studio display, so the trick is to find something that is really close – and that’s what I’ve found in the Wacom MobileStudio Pro. I’m currently using the 16-inch Wacom MobileStudio Pro because, as mentioned above, one of the pleasures of travel photography is being able to look at your work in the evening, pick out your best shots and, if you don’t fall asleep, perhaps edit a few of the photos that really inspire you. So, when I’m in my hotel room or perhaps working with other photographers, I want to have a large screen with lots of monitor real estate. I want plenty of room for my palettes and a good size reproduction of the image I am working on. I’m often leading a group of photographers when I’m traveling, so having a large screen to show them a Photoshop technique, play an audiovisual or give a PowerPoint presentation is helpful. So I rationalized that I needed the larger MobileStudio Pro. But there are a couple compromises for the 16-inch model, the most notable being its size and weight. Didn’t I just say I wanted a bigger screen? Yes, but when I’m sitting on a plane travelling, I think I’d prefer a smaller unit – although I have to say that, now I have mastered Wacom’s ExpressKeys and the Pro Pen 2, I am pretty efficient with Capture One, Photoshop and InDesign, even within the confines of a ‘cattle class’ seat. And there’s also the little issue of price – the top of the range 16-inch MobileStudio Pro costs maybe 40% more than the entry-level 13-inch MobileStudio Pro. 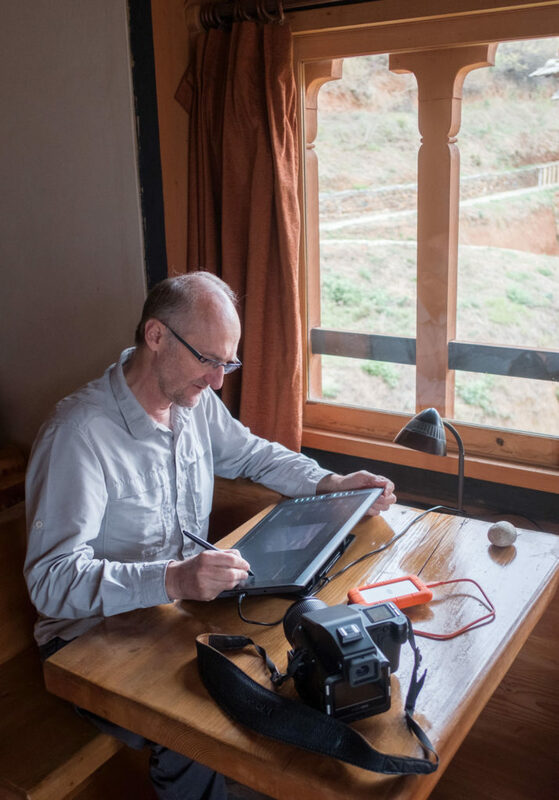 The author in Bhutan, working diligently on location. But even the entry-level MobileStudio Pro is a dream machine. 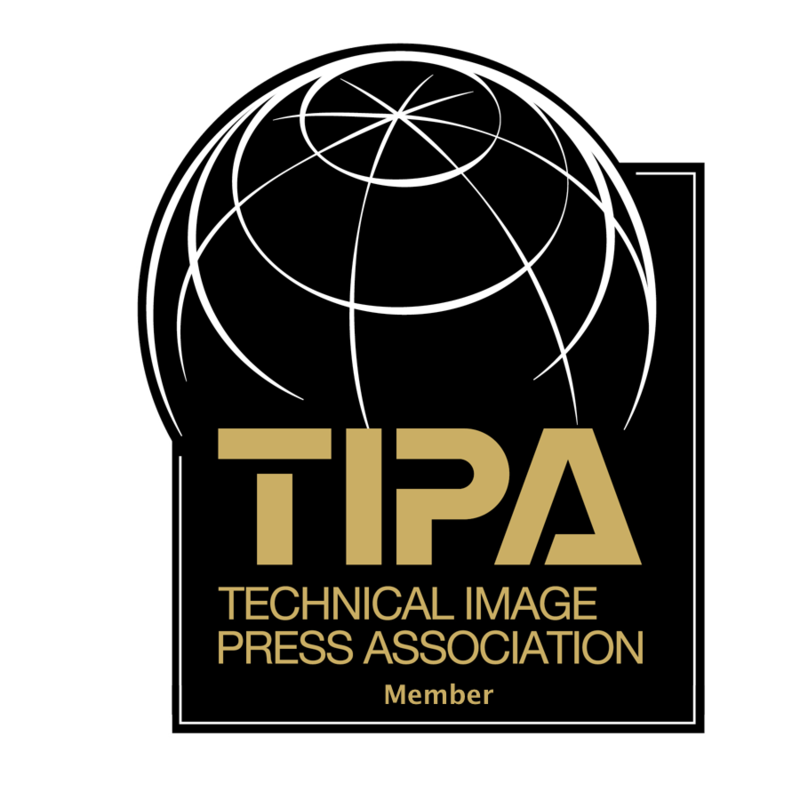 Its specifications outshine top of the line laptops from only a few years ago, so how much power do you really need for photography? I could do most of my work with it, certainly when editing my smaller Canon and Fujifilm files. It’s only when I’m playing with 100-megapixel Phase One files that I absolutely have to have the 16GB RAM. The Wacom MobileStudio Pro 13 i5 128GB features an Intel® Core i5 processor with a 128GB solid-state drive (SSD) for storage, so it will romp through your raw files, especially with 8GB of memory on board. Physically, the screen size is 13.3 inches (33.8 cm) diagonally and the pen computer measures 367x229x16 mm (14.4x9x0.6 inches). It has an Intel Iris Graphic 500 card which shows 96% of the Adobe RGB colour space (it looks superb) and offers WQHD resolution or 2560×1440 pixels. Importantly, the MobileStudio Pro 13 is really cool to use. The etched glass surface makes it feel like you’re working with pen and paper by providing a balanced amount of resistance to the Pro Pen 2’s tip. Plus, multi-touch gestures make zooming and rotating your images as simple as pinching and swiping on your smartphone, although I have to say I don’t personally use the touch feature all that often. In summary, the 13-inch MobileStudio Pro is a fully fledged Windows-based computer which will run all your editing programs (and everything else), plus it has this amazing interface based on a touch screen and supplemented by a pen, ExpressKeys, and on-screen controls. The smaller MobileStudio Pro is great for working in tight environments. The larger MobileStudio Pro is great for the extra screen real estate, but it is also heavier. The reality for all photographers and video producers is that no laptop ever has enough storage onboard. At some stage, you’re going to need external storage and there are lots of options. The Wacom MobileStudio Pro 16 i5 256GB offers a 256GB SSD combined with an i5 Intel Core processor and 8GB RAM, but it’s the screen you’ll fall in love with. 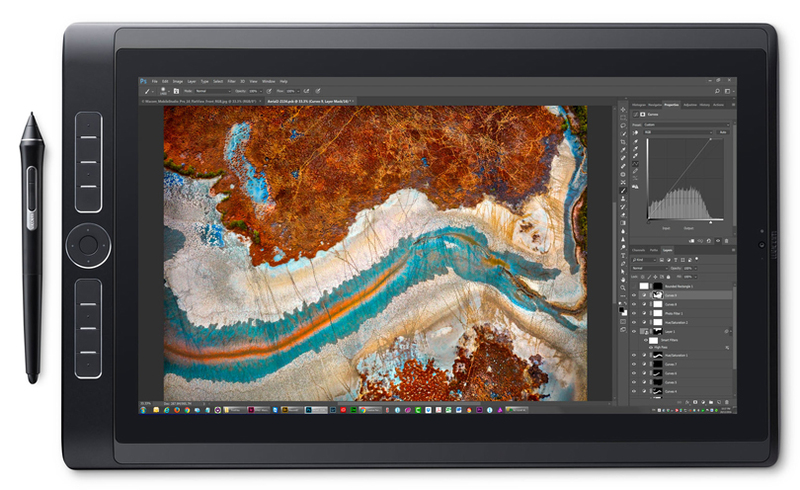 Powered by a NVIDIA Quadro M600M graphics card with 2GB GDDDR5 VRAM, the 15.6-inch (diagonal) screen offers UHD resolution (3840×2160 pixels) displaying 94% of the Adobe RGB colour space. The resolution and colour accuracy need to be seen to be believed, especially when you consider this is a portable device. This is what sold me. So, how portable is it? 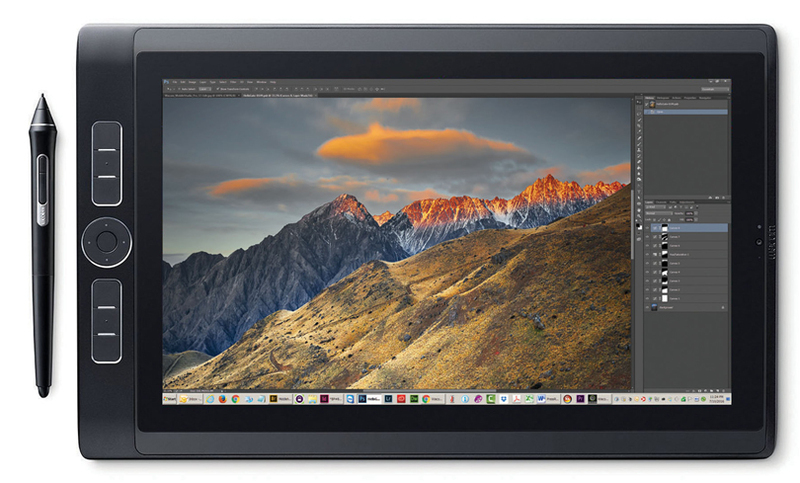 At 2200 g compared to 1420 g for the smaller MobileStudio Pro, it’s not a lightweight tablet. If your locations are in hotels or different rooms of your house, then the 16-inch model becomes hard to resist, but if you’re travelling without a base for days or weeks on end, then maybe the smaller, lighter MobileStudio Pro makes sense – because it has the power to do what you need it to do. Assuming weight is manageable, a larger size desirable. 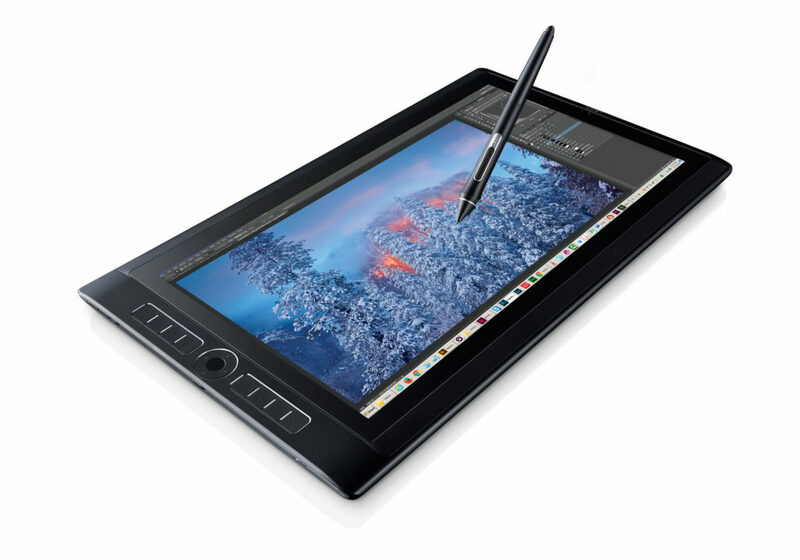 And if you need to process larger files for stills and video, then step up to the Wacom MobileStudio Pro 16 i7 512GB. Not only does it have a 512GB SSD, it offers a massive 16GB RAM and the faster Intel Core i7 processor. It really is a seamless device and can happily replace your desktop computer too. When I travel, I also take along an iPad Pro. If I want to write a story or send an email, it’s much quicker to set up the iPad than to turn on the MobileStudio Pro and set up a Bluetooth keyboard and mouse (it has an onscreen keyboard as well, but for the same reason I have a keyboard for the iPad, you’ll want a separate keyboard for the MobileStudio Pro). So while the MobileStudio Pro can replace a laptop, if your laptop is only used 10% of the time for photography, the MobileStudio Pro might not be a good replacement. On the other hand, when I am processing my files in Capture One and Photoshop, especially when I’m using adjustment layers and masks, there’s nothing better than using the pen on the screen surface. In the studio, I use an Intuos or more recently the Cintiq, so I’m used to the pen – in fact, I find it really frustrating to use a mouse these days for image editing. And most importantly, the MobileStudio Pro has a great screen image. It’s not perfect – it’s not as accurate as my EIZO monitors, for instance, but it’s 85-90% as good. I can return from a trip with processed files and when I put them on my EIZO, which I know is 99% accurate (I’d say 100%, but I know we have some very technically minded readers out there), I don’t have to change the colour at all and the tonality usually just needs a little lightening up in the shadows. It’s the closest I have come to be happy with what I process out in the field. And one final, illogical reason: the MobileStudio Pro is heaps of fun to use! You can see me working with an earlier version of the MobileStudio Pro in my Tales By Light television episode (available on Netflix). Even if my photos aren’t up to scratch, the Wacom certainly helps me look the part!